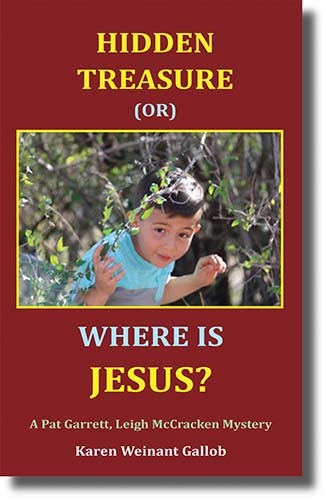 Earth Star Publications, Hidden Treasure or Where is Jesus? But they haven't quite gotten their papers in order. When a crooked ICE agent shows up on their doorstep, they make a perilous escape. Sending their teenage son to hide on his own, they take their toddler, Jesus, and disappear. Not long after this frightening incident, Sheriff Pat Garrett is notified that a corpse has been found on the property of a local rancher. The body, badly damaged and difficult to identify, is wearing the uniform coat of an ICE agent. Garrett, as usual, is suspicious that things are not as they seem, but he won't know what actually happened until he finds the Romeros. Meanwhile, someone else is murdered right before his eyes, and the search for that killer seriously complicates his theories of both crimes. 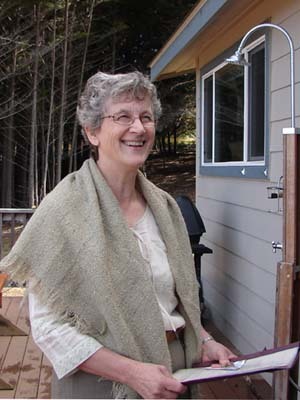 Karen Weinant Gallob is a Colorado rancher and an anthropologist who taught for several years at Metropolitan State College in Denver. She is interested in the relationships among language, culture, and human perceptions of reality. She has published articles, reviews, stories, poetry, and a four-volume science fiction novel, After the End: The Sumbally Fallacy. Hidden Treasure (or) Where is Jesus? is preceded by two others in the series: All the Bad Stuff Comes in Threes, Baby Skulls and Fowl Odors, which was a Finalist in the Eric Hoffer Book Awards, and The Climbing Dog Affair. She is a member of the American Anthropological Society, the Colorado Author’s League, and two local book clubs.